In the 1950s, a young man from Memphis combined Gospel music, blues, and bluegrass to create a new sound--Rock and Roll. His name was Elvis Presley, and as Leonard Bernstein later observed, "He not only changed music; he changed everything." He was the new kid in town, and that town was Nashville. Yes, he lived and recorded his music in Los Angeles, but his new sound elevated Nashville to the top of the music world. Before Glenn Frey, Don Henley and the Eagles told us all to take it easy, country music was George Jones, Loretta Lynn and Tammy Wynette singing on the stage at the Ryman. Great artists, yes, but Glenn Frey and the Eagles expanded that base and helped create the modern country sound that earned Nashville the title "Music City" not only in the south but around the World. 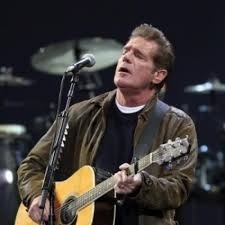 Glenn Frey co-wrote and sang such diverse Eagles hits as "Tequilla Sunrise", "Lyin Eyes" and "Hotel California". But my favorite Glenn Frey song is "Common Ground". It is a ballad about the journey we are all on together. In it Glenn encourages us to wake up and look around, for we are all in this together, we all stand on common ground. A simple but powerful message in these uncivil, winner-take-all times. Glenn Frey's journey ended on Monday with his death at age 67. In his memory, Google "Common Ground-You Tube" and watch and hear him sing. It will give you a peaceful easy feeling. Don: I googled "Common Ground-You Tube" to hear Frey's song, but came up with 72,200,00 hits. Which one is it? charles swanson: A lovely tribute to a great singer/songwriter. Clearly, Glen Frye was a source of common ground to legions. He will be missed.